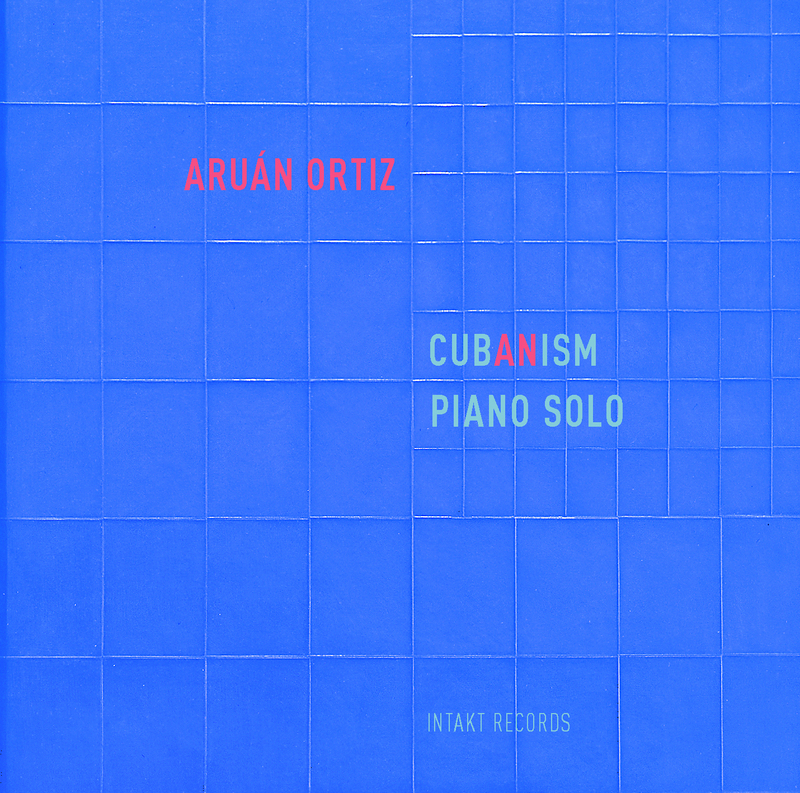 Born and raised in Santiago de Cuba, pianist Aruán Ortiz has consistently followed his vision of ever expanding musical horizons. Beginning with an exploration of Cuba’s musical heritage, Ortiz combines elements from a range of genres to form an unmistakable personal style with foundations in the polyrhythms of Afro-Cuban music. On his latest album, Cub(an)ism (out June 16 from Intakt Records), he brings that unique blend of modernism and tradition to the solo piano, offering an undiluted excursion into the crossroads of Cuban rhythms and Cubist abstraction. Cub(an)ism arrives twenty years after Ortiz’ last solo album, his very different debut release, Impresión Tropical. Recorded in Spain when he was still in his early 20s, Impresión Tropical reveals the blend of influences that would come to mark Ortiz’s mature style in their nascent form, with Cuban rhythms formalized into contemporary classical structures and refracted through a modern jazz lens. His approach to that combination would become exponentially more complex in the coming decades, and Cub(an)ism finds them in full, expansive flower. 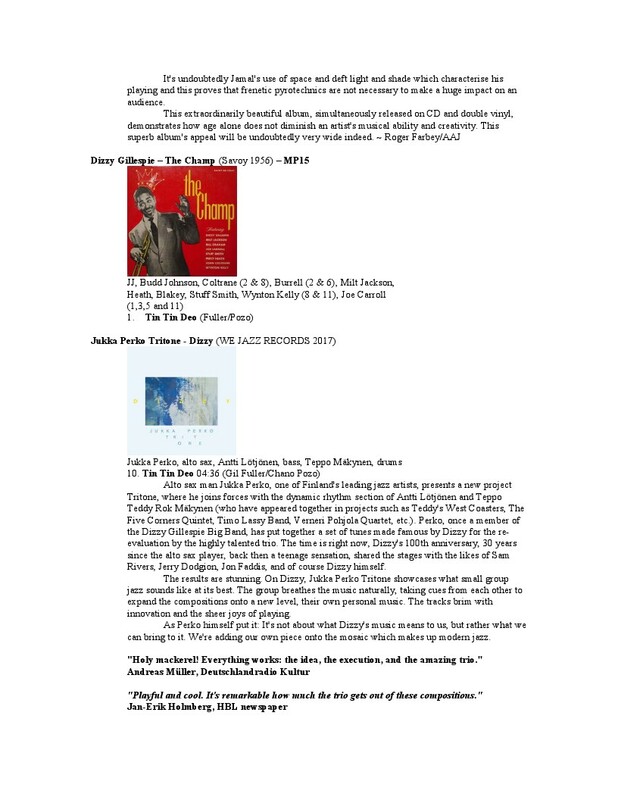 Ortiz’s compositions for solo piano release traditional sounds and forms from their original contexts, channel them and feed on them as free information within his genre-boundary-busting musical world, which, like tradition itself, is by definition constantly in movement, never following a firm set of rules. 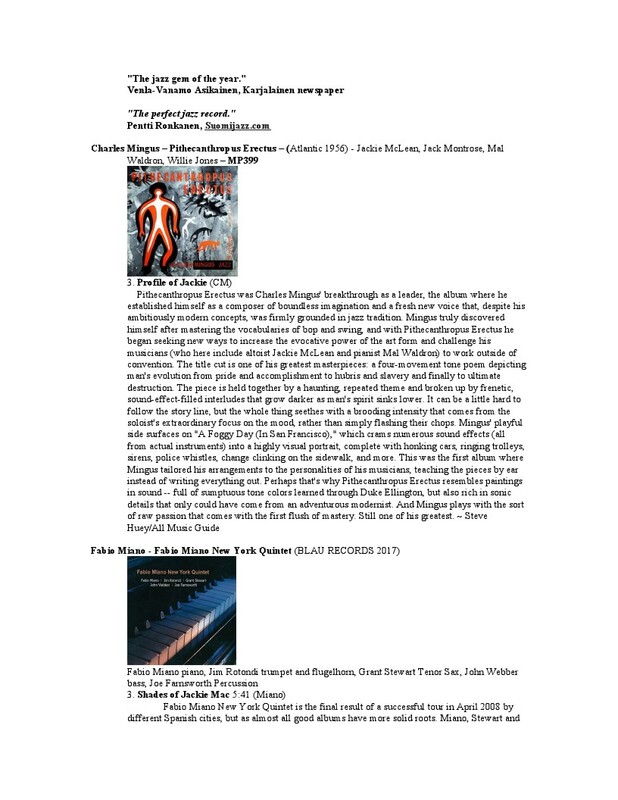 On Cub(an)ism, Afro-Haitian Gagá rhythms (see “Louverture op1. (Château de Joux)”) and the traditional genres of Afro-Cuban Rumba and Yambú form constantly permuting rhythmic frameworks for improvisation-heavy jazz modernism, leaving room for recollections of contemporary classical music, while specific toques of Tumba Francesa such as Yubá, approach the musical world of John Cage (see “Monochrome”). Ortiz’ intellectually playful keyboard art makes its way through an expansive musical cosmos in which the mathematical rigor of architectural structure and emotional freedom are interlocked (see “Sacred Chronology,” a piece based on the Fibonacci sequence). 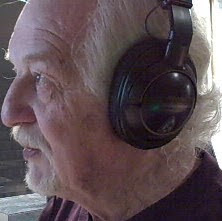 Ortiz translates the current global catchphrase “everything connects” into a meaningful musical language. 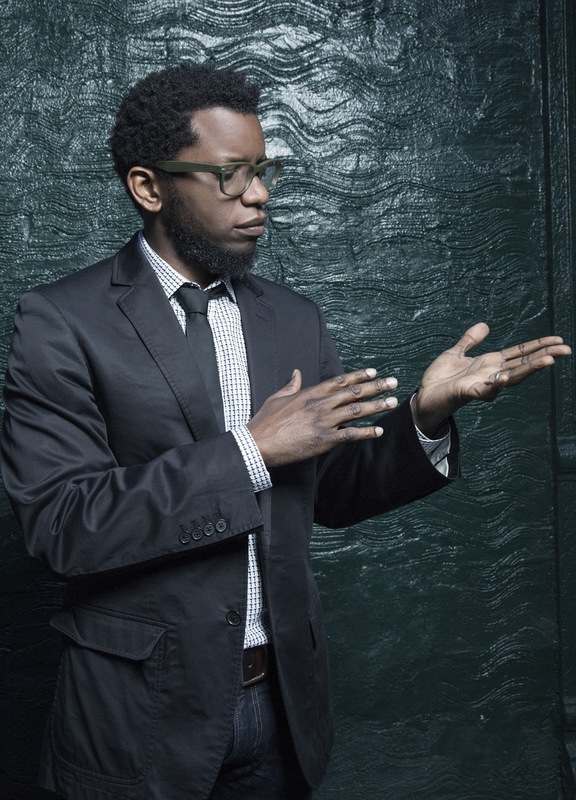 With a spiritual connection to his mentor Muhal Richard Abrams, Ortiz does not view music as one-dimensional; it must be placed in relationship to other art forms, particularly painting. The title Cub(an)ism represents a fundamental tribute to a key source of inspiration for Ortiz: the tradition-shattering art movement cubism, which like his music is essentially orientated on rhythm and dynamics. Especially relevant in this context is the Cuban painter Wifredo Lam, whose masterpiece “The Jungle” is the inspiration for the signature track “Cuban Cubism.” Like Lam’s painting, Ortiz’ Cuban cubism is based on an original, multi-layered game of perception, and key cubist devices can be recognized in his painterly music. A major theme is sliced into jigsaw pieces which are hidden within the overall sense, as in “Passages,” in which phantom notes are emphasized that are not actually there. In the collage-like piecing-together of heterogeneous, geometric pieces, Ortiz’ penchant for architectural sound structures and the juxtaposition of rhythms and patterns can be heard. 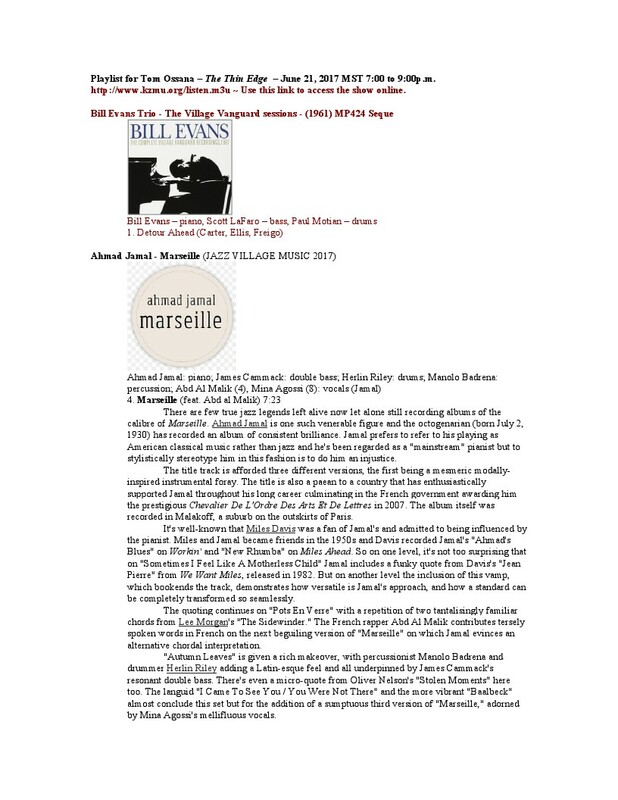 There is also a cubist sense of multiple perspectives and simultaneity in the sense of multiple views of an object, or a musical structure, heard in tracks such as “Passages” and “Intervals,” both based on a similar conceptual idea of melodic or rhythmic permutation from a different perspective each time. Cub(an)ism is the result of an in-depth conversation with a range of musical idioms and styles, and various experiences from the phases of Ortiz’ life, in Cuba, Spain, France and the USA which have formed his eclectic concept of music. He began his musical career with the violin, switching to the viola at 10. His devotion for this instrument allowed him to win countless prizes and play several viola concertos with an orchestra when he was a teenager. The choice of piano only came at age nineteen, in 1992. 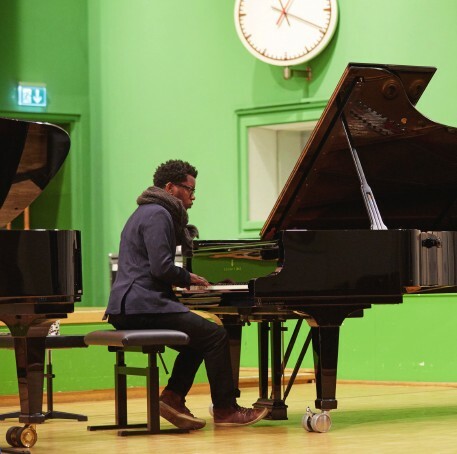 Although Ortiz had been familiar with the instrument for years, in the early 1980s piano lessons were an obligatory part of a musical education in Cuba. When he finished his studies in classical music, he left the island for Barcelona where he transitioned from being an autodidactic jazz aficionado to the pursuit of a formal jazz degree. His teachers included Horacio Fumero, who educated him on the historical evolution of jazz piano playing. Following the period in Spain when he recorded Impresión Tropical, he moved to Boston in 2002 to study at Berklee College of Music with teachers including Joanne Brackeen and Danilo Pérez. There he encountered the free jazz movement, which was to have a lasting influence. In 2008 Ortiz relocated to Brooklyn, the epicenter of innovative musical personalities, where he is based today. In recent years, Ortiz has written music for jazz ensembles, orchestras, dance companies, chamber groups, and feature films. 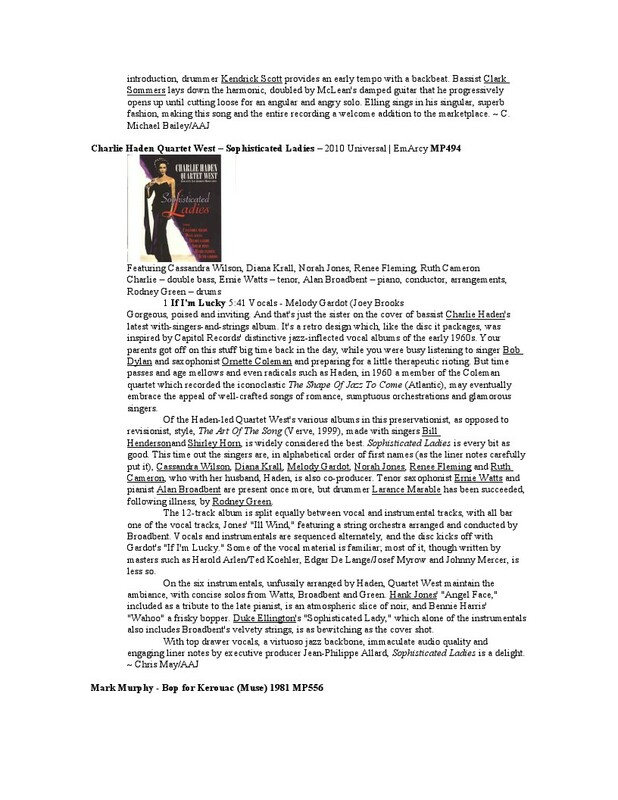 In 2012, he composed and conducted “Santiarican Blues Suite,” a five-part score that references a wide timeline of Cuban, Afro-Haitian, and contemporary classical vocabulary that received 4.5 stars from DownBeat Magazine. 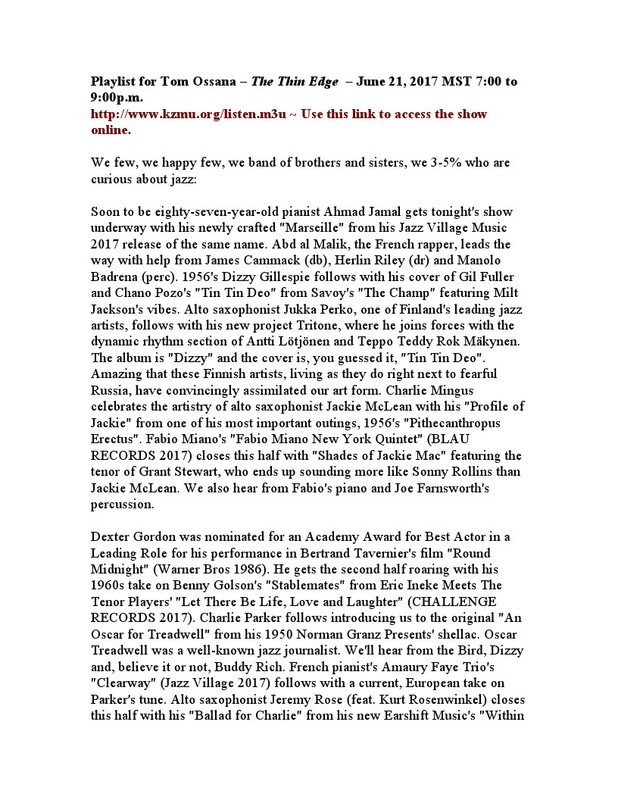 His most recent release, the acclaimed Hidden Voices, features an adventurous trio with bassist Eric Revis and drummer Gerald Cleaver, conjuring boundary-stretching music where Ortiz’ Afro-Cuban and jazz roots are implied, but not explicitly stated. 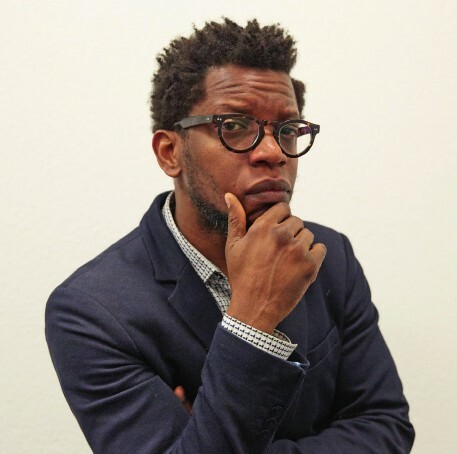 Over the years he has received numerous accolades, including the Doris Duke Impact Award in 2014. 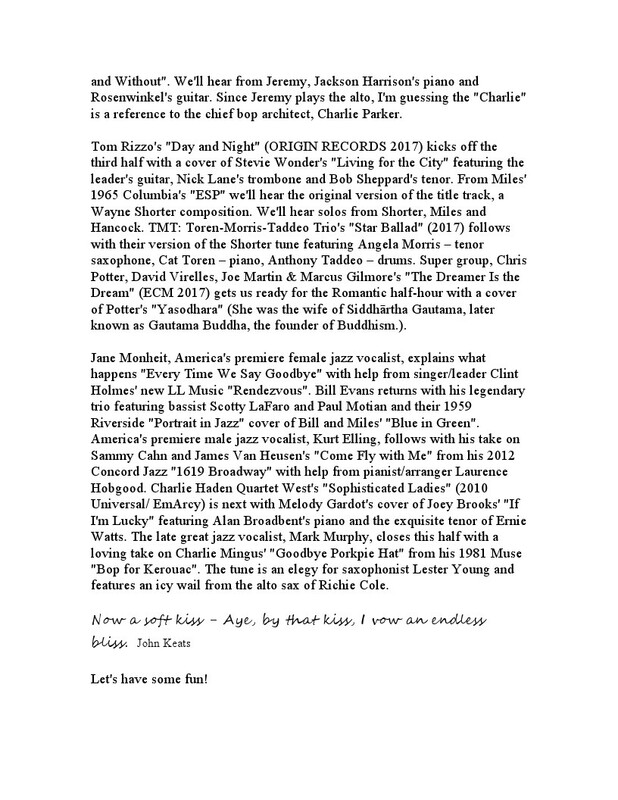 He has also recorded collaboratively with bassist Michael Janisch and pianist/electtonic musician Bob Gluck, and played, toured, or recorded with Esperanza Spalding, Terri Lyne Carrington, Wadada Leo Smith, Don Byron, Greg Osby, Wallace Roney, Nicole Mitchell, Steve Turre, Cameron Brown, and Nasheet Waits, to name a few. 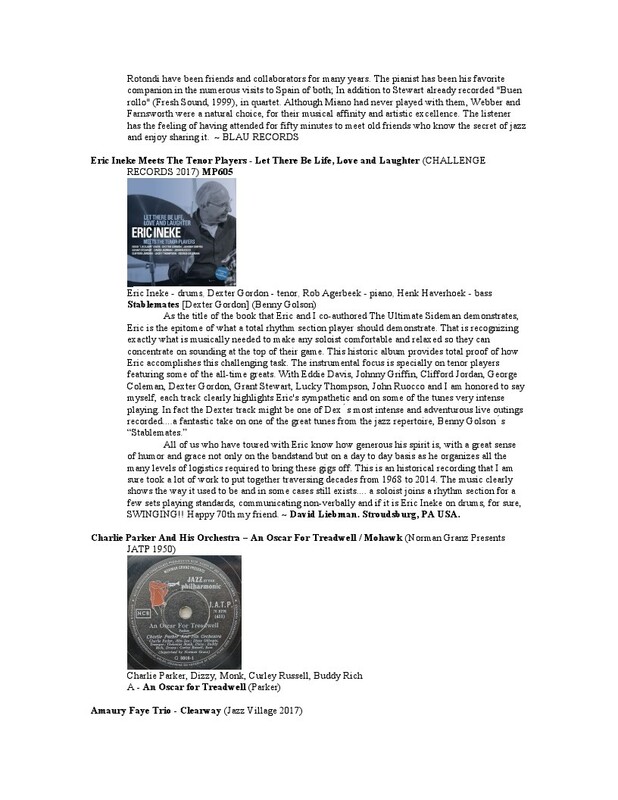 Playlist for Tom Ossana – The Thin Edge – June 21, 2017 MST 7:00 to 9:00p.m. Acclaimed saxophonist, composer, and MacArthur Fellow Miguel Zenón performs in Madrid with his longstanding quartet - pianist Luis Perdomo, bassist Hans Glawischnig and drummer Henry Cole - as part of an international tour. 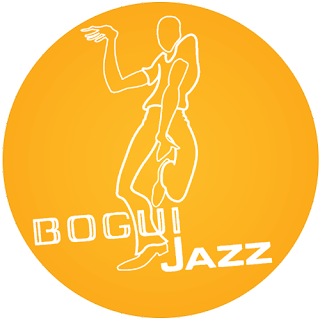 Sunday, July 2, Bogui Jazz, Calle de Barquillo, 29, 28004 Madrid, Spain. That band is featured on Zenon's highly praised recent album Tipico (out February 2017 via Miel Music). 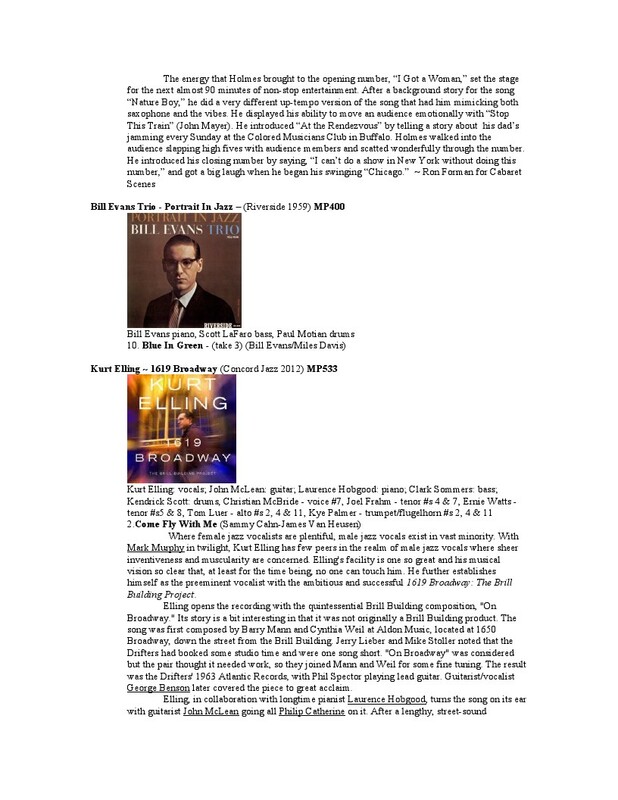 Kevin Whitehead on NPR's Fresh Air said of the album: "He plays intricate music that sounds like it comes from the heart. 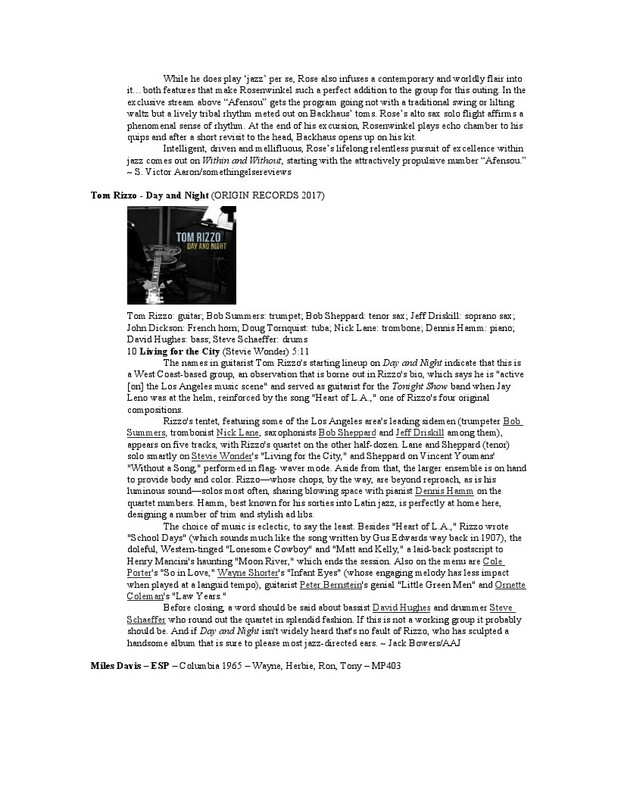 Zenón has a rhapsodic, lyrical, Stan Getz-y side that jazz can always use more of." Internationally acclaimed saxophonist/composer Miguel Zenón and his longstanding quartet embark on an international tour from July 1-15 with stops in France, Spain, Poland, Switzerland, and China. The band is the same lineup featured in Zenón's latest release Típico (February 2017 Miel Music): pianist Luis Perdomo, bassist Hans Glawischnig and drummer Henry Cole. Saturday, July 1, Jazz a Oloron, 10 Rue de Revol, Oloron-Sainte-Marie, France. Thursday & Friday, July 6-7, Le Duc des Lombards, 42 Rue des Lombards, Paris, France. Saturday, July 8, La Cité du Vin, 134 Quai de Bacalan, Bordeaux, France. Sunday, July 9, Summer Jazz Days, Warsaw, Poland. Monday, July 10, Musique en été, Geneva, Switzerland. 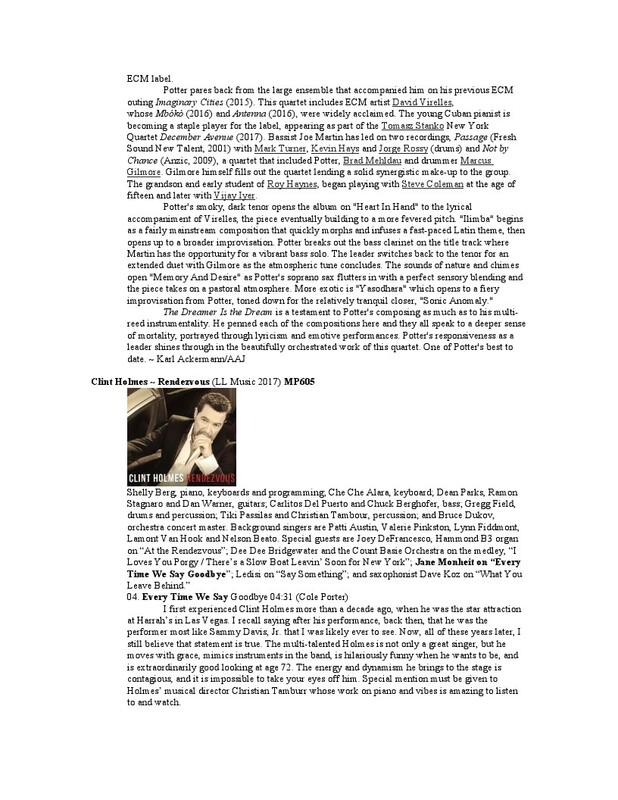 Friday & Saturday, July 14-15, Blue Note, Beijing, China. 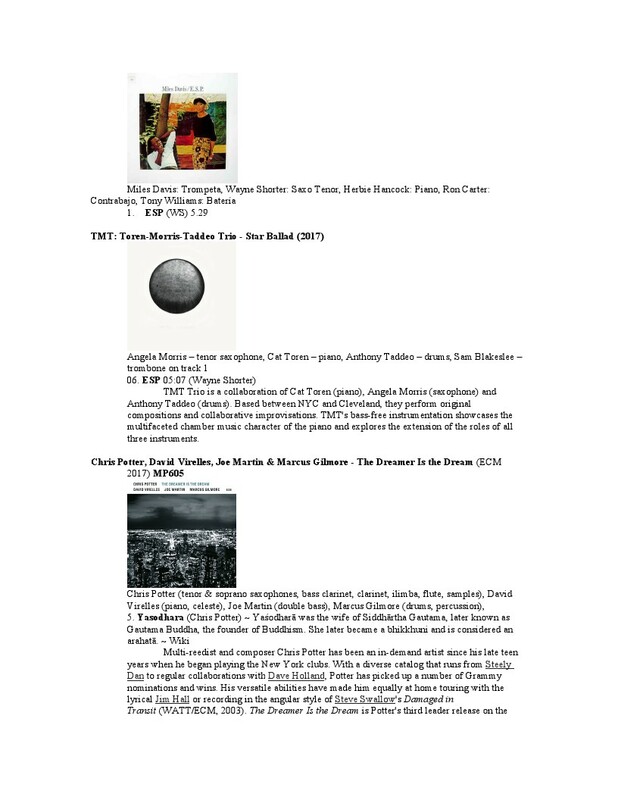 A multiple Grammy® nominee and Guggenheim and MacArthur Fellow, Miguel Zenón is one of a select group of musicians who have masterfully balanced and blended the often-contradictory poles of innovation and tradition. Widely considered one of the most groundbreaking and influential saxophonists of his generation, Zenón has also developed a unique voice as a composer and as a conceptualist, concentrating his efforts on perfecting a fine mix between Latin American folkloric music and jazz. Born and raised in San Juan, Puerto Rico, Zenón has recorded and toured with a wide variety of musicians including Charlie Haden, Fred Hersch, Kenny Werner, Bobby Hutcherson and Steve Coleman and is a founding member of the SFJAZZ Collective. Tipico is above all a celebration of Zenón's longstanding quartet. 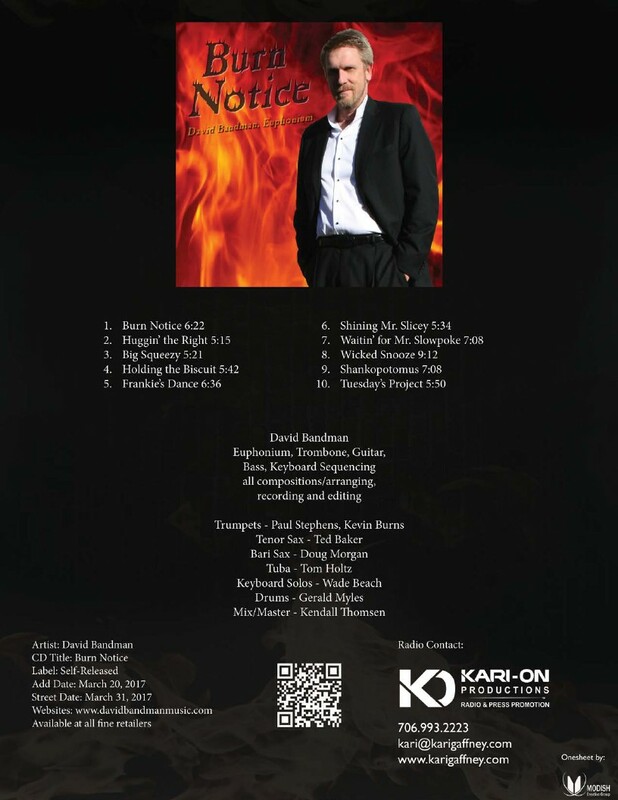 His past several releases have generally fleshed out that core unit with additional instrumentalists as Zenón has looked outward to explore various aspects of his Puerto Rican heritage. Tipico feels more intimate. Its focus stays closer to home, with nods to Zenón's own personal and professional life as it zeroes in on what makes his band unique. A high-energy jazz/rock/funk recording. Nobody plays the euphonium like he can, and he’s always looking for ways to yank the instrument out of it’s usually nerdy pigeon hole and put it firmly in the spotlight where everyone least expects it. Bandman has, once again, liberally applied a large dose of his evil genius to his turbocharged, high-octane compositions. He wears even more hats than usual on this recording, putting his guitar, electric bass and keyboard sequencing chops to work on all ten tracks. That’s in addition to composing and arranging all original music; recording and editing the entire album; playing all the trombone parts and, of course, providing us with superhuman euphonium solos. 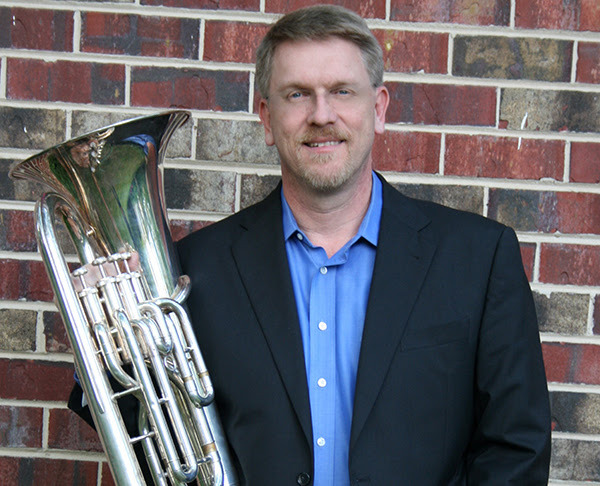 A native of Waukegan, IL, David is a graduate of The University of North Texas where he played trombone in the One O’Clock Lab Band. 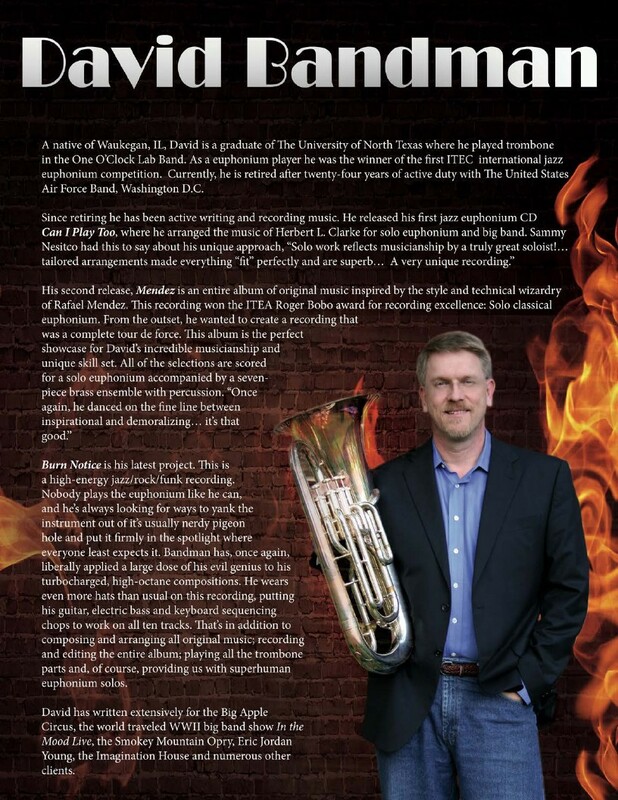 As a euphonium player he was the winner of the first ITEC international jazz euphonium competition. Currently, he is retired after twenty-four years of active duty with The United States Air Force Band, Washington D.C. 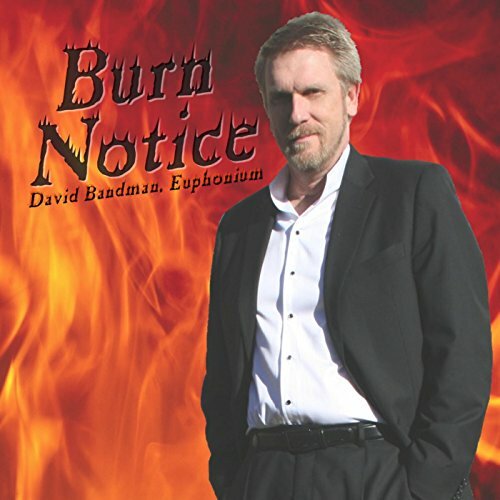 Burn Notice is his latest project. This is a high-energy jazz/rock/funk recording. Nobody plays the euphonium like he can, and he’s always looking for ways to yank the instrument out of it’s usually nerdy pigeon hole and put it firmly in the spotlight where everyone least expects it. Bandman has, once again, liberally applied a large dose of his evil genius to his turbocharged, high-octane compositions. He wears even more hats than usual on this recording, putting his guitar, electric bass and keyboard sequencing chops to work on all ten tracks. That’s in addition to composing and arranging all original music; recording and editing the entire album; playing all the trombone parts and, of course, providing us with superhuman euphonium solos. David has written extensively for the Big Apple Circus, the world traveled WWII big band show In the Mood Live, the Smokey Mountain Opry, Eric Jordan Young, the Imagination House and numerous other clients. Melodic Intersect’s has been described by Simon Sheppard, at the Chicago Tribune; “I guarantee it will have world music lovers and jazz aficionados swooning in ecstasy, humbly bowing with palms touching and thumbs close to their chest, and whispering “Namaste” over, and over, and over again.” Hupages proclaims, “The music of India is as diverse as the land it comes from. 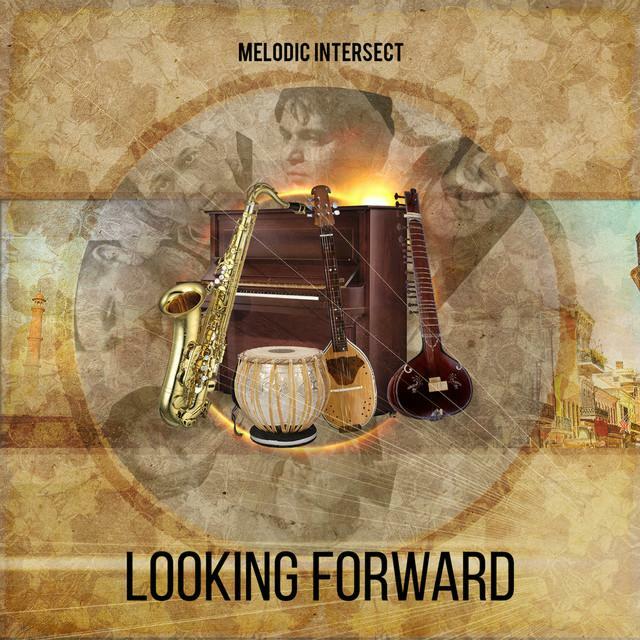 Melodic Intersect’s 6th studio album, Looking Forward brings forth an ensemble of seasoned musicians from different backgrounds. 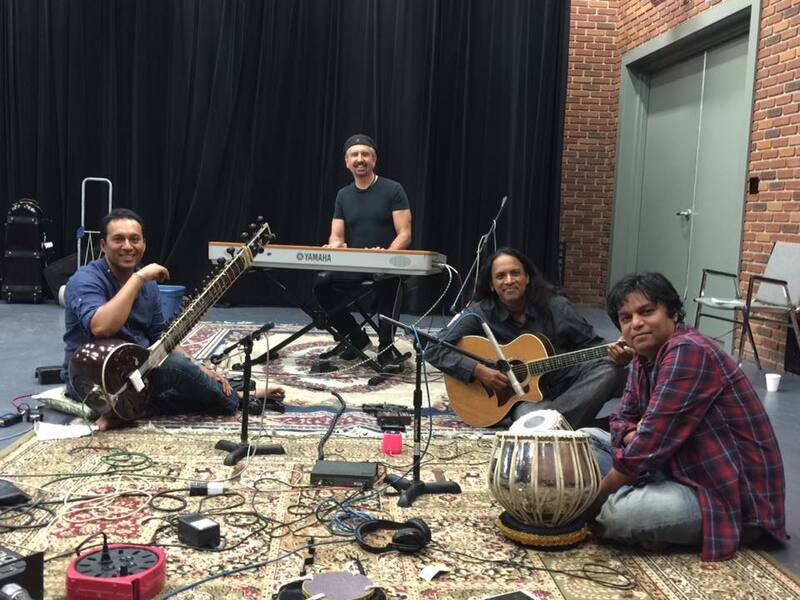 Enayet Hossain, a tabla player has had years of experience in the realm of Indian classical music and started the Melodic Intersect group to be able to produce music which is not mainstream and meant to be highly improvisational. 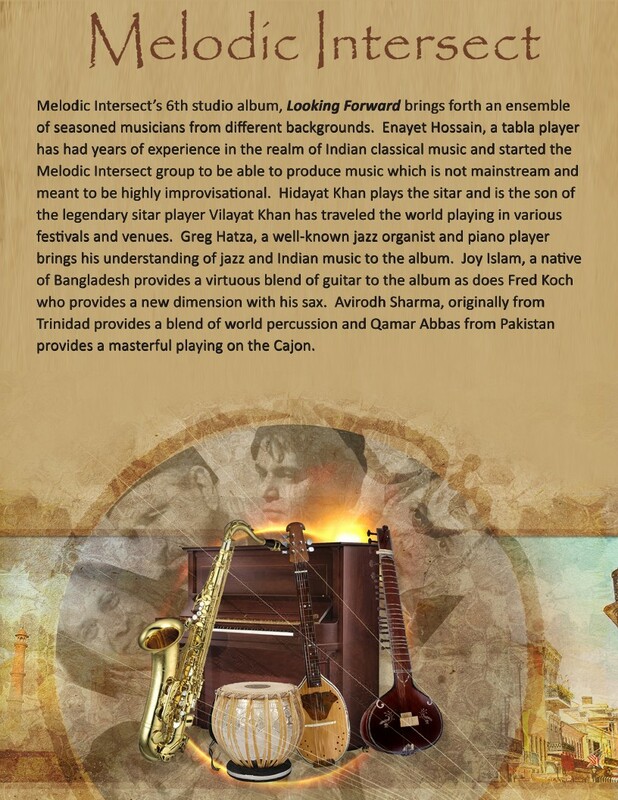 Hidayat Khan plays the sitar and is the son of the legendary sitar player Vilayat Khan has traveled the world playing in various festivals and venues. 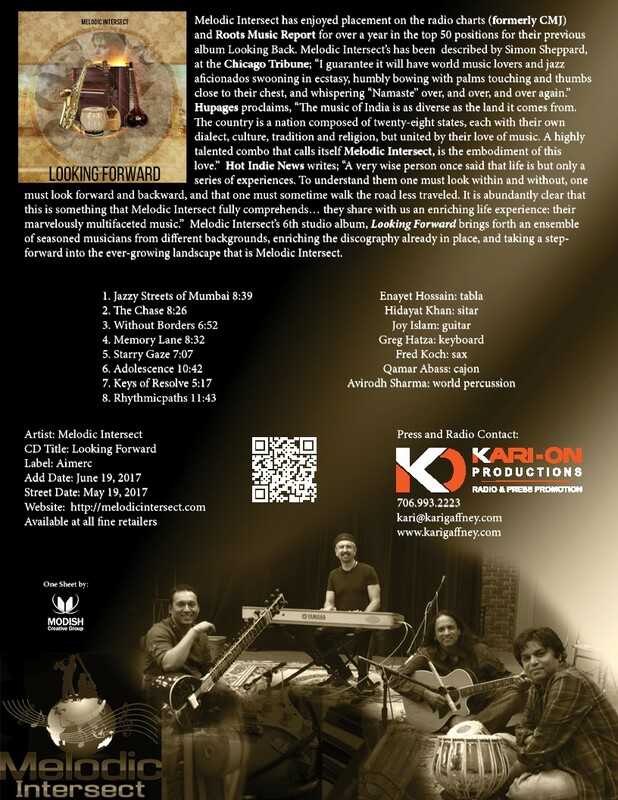 Greg Hatza, a well-known jazz organist and piano player brings his understanding of jazz and Indian music to the album. 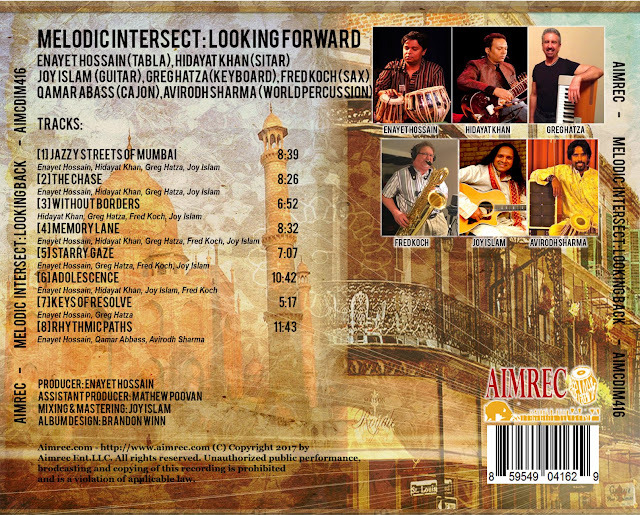 Joy Islam, a native of Bangladesh provides a virtuous blend of guitar to the album as does Fred Koch who provides a new dimension with his sax. Avirodh Sharma, originally from Trinidad provides a blend of world percussion and Qamar Abbas from Pakistan provides a masterful playing on the Cajon. 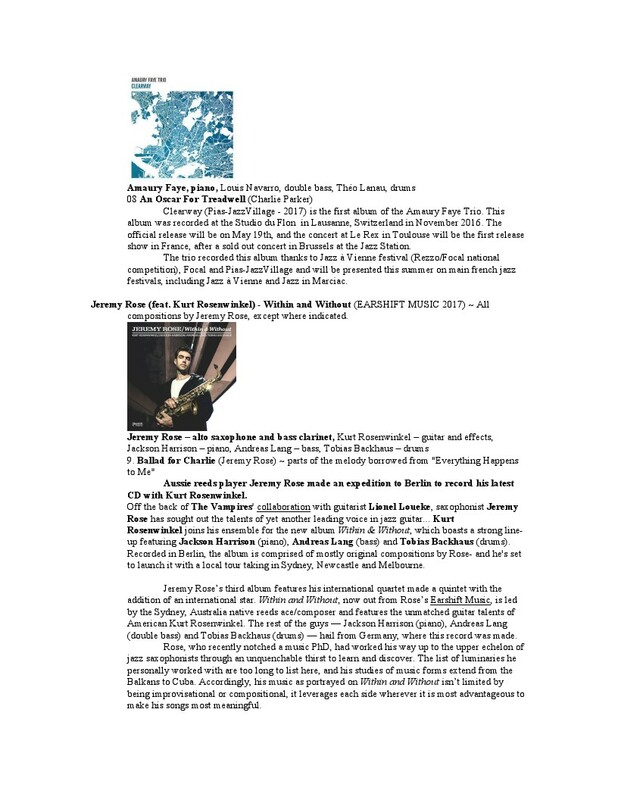 Melodic Intersect has enjoyed placement on the radio charts (formerly CMJ) and Roots Music Report for over a year in the top 50 positions for their previous album Looking Back. Melodic Intersect’s has been described by Simon Sheppard, at the Chicago Tribune; “I guarantee it will have world music lovers and jazz aficionados swooning in ecstasy, humbly bowing with palms touching and thumbs close to their chest, and whispering “Namaste” over, and over, and over again.” Hupages proclaims, “The music of India is as diverse as the land it comes from. The country is a nation composed of twenty-eight states, each with their own dialect, culture, tradition and religion, but united by their love of music. 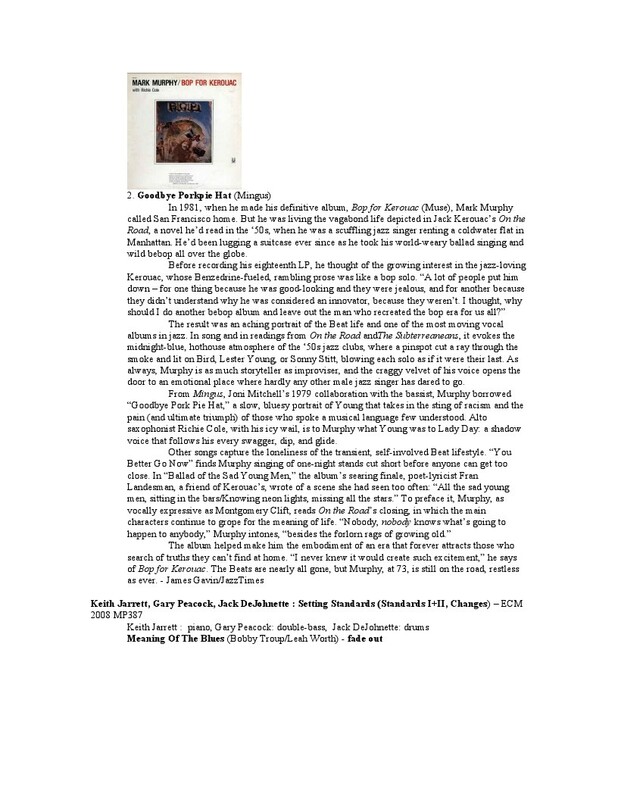 A highly talented combo that calls itself Melodic Intersect, is the embodiment of this love.” Hot Indie News writes; “A very wise person once said that life is but only a series of experiences. To understand them one must look within and without, one must look forward and backward, and that one must sometime walk the road less traveled. 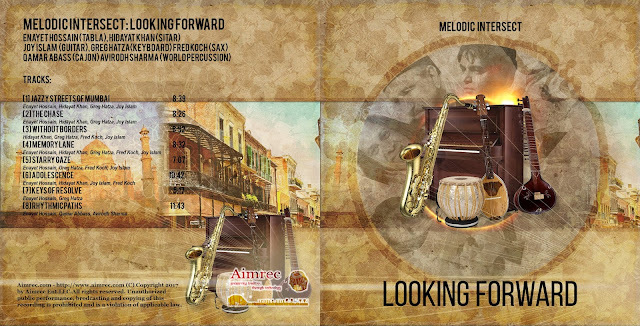 It is abundantly clear that this is something that Melodic Intersect fully comprehends… they share with us an enriching life experience: their marvelously multifaceted music.” Melodic Intersect’s 6th studio album, Looking Forward brings forth an ensemble of seasoned musicians from different backgrounds, enriching the discography already in place, and taking a step-forward into the ever-growing landscape that is Melodic Intersect.